I grew up in Los Angeles. If you love movies and the whole movie-going experience as much as I do, L.A. was a great place for childhood and teen years. One of the best things about going to the movies, especially the exclusive engagement ones in Hollywood, was that they'd often be preceded by what we used to call a "short subject." A short subject could be live action or animated, domestic or foreign, serious or funny. And many of them were memorable. These short features were so good that there's still a category in the Oscars to award ones of special merit. Nowadays, you don't see those short features so much. The cineplex presentations gives us trailers and commercials. I wish they'd add short features to some of the film presentations. 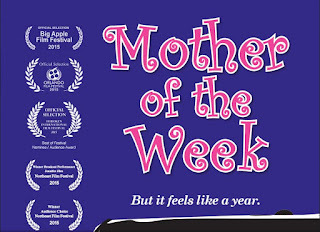 Short features like -- MOTHER OF THE WEEK starring Jennifer Jiles as an overworked, undersexed, middle-aged working mom in the suburbs. This 20-minute short film was funnier that some new sitcoms I saw debut this year on network TV and way funnier than some big screen dud comedies we've gotten from Katherine Heigl, Jennifer Aniston and Kate Hudson. I loved Mother of the Week. This poor woman's suburban angst gave me big laughs. Where did I see it? 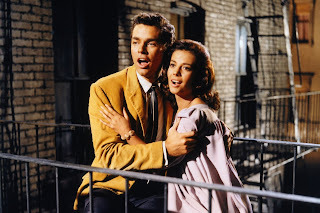 I saw the first Saturday of November on an overcast, drizzly afternoon in a cineplex near NYU. The Village East Cinema cineplex was the weekend site of the Big Apple Film Festival. Adrienne Paxton, a friend and former co-worker from my "Good Day New York" years on Fox5 TV in New York City, is one of the feature's producers. She also made and supplied some absolutely gorgeous jewelry worn in Mother of the Week. Adrienne has been a huge help to me during my current job-hunt journey. I was proud to go and support her production. I was not prepared for how funny and fine her feature would be. Honestly. If I didn't know anyone in it or involved with it and had paid to see it on the bill with a major new Hollywood release, I'd have been a happy moviegoer. It's that good. There's also the asset of Jennifer Jiles in the lead role. She's comedy gold -- a veteran comedian, actress and writer who's full of talent and screen charisma. You immediately want her as your best friend or you've been in her situation or she reminds you of a dear friend or relative. I'm of that generation that was taught "Women can have it all -- career, marriage, kids." That's true. They can. But they hit middle-age and realized they needed help because having it all meant picking up kids at school, fixing various meals according to likes and dislikes, remembering to defrost chickens and coming up with fabulous new ideas in the workplace that will defrost the boss. All this while trying to keep a husband looking as gleefully at you as he does at televised sports. This 41-year old career woman needed help when she had it all plus a foot injury. She hired a pretty, young blonde nanny who was the most lovable and winsome helper this side of Maria in The Sound of Music. Now the wife and mother has to win back the attention of a family unit that's been enchanted by the nanny. Here's a trailer. Jennifer Jiles is not the only stand-out in this short film. The whole feature was perfectly cast with likable actors, kids and grown-ups, who know their characters so well that they really don't even need dialogue to get a laugh. One look will do. Director Lee Davis also has a keen sense of comedy. That's evident in the tone, pace and editing of this film. When I saw it, the theater was packed and the audience loved it. 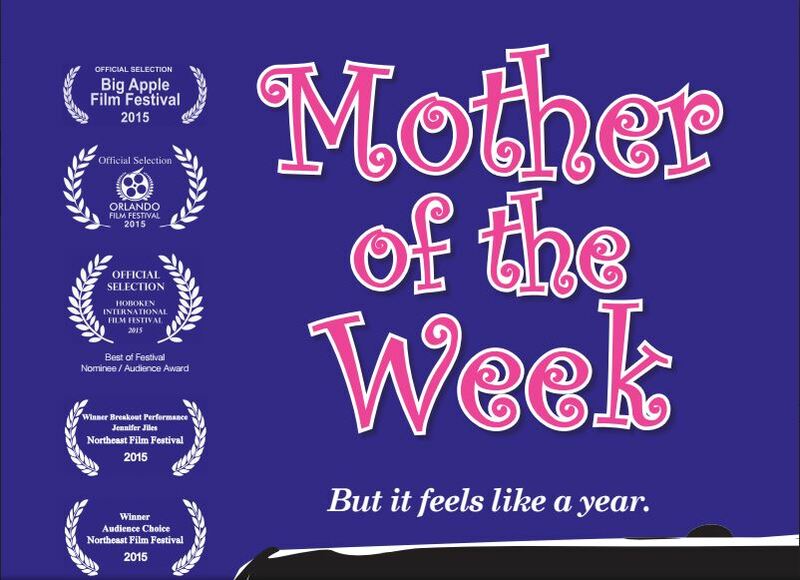 Mother of the Week has made the film festival circuit, apparently. I really wish short films like this were on the bill in cineplexes across the country and in the arthouse movie theaters. Film reviewers should pay more attention to these short productions. There's some great talent in these smaller features, talent that deserves a big spotlight. Mother of the Week is one such feature. Jennifer Jiles co-wrote this comedy. I was a bit jealous watching it, I had to admit. I've done about 10 years on various local morning news programs on New York City TV such as "Good Day New York" and "Weekend TODAY in New York on WNBC. I really wanted to do comedy roles like in this Jennifer Jiles feature. I didn't want to be Lester Holt. I wanted to be the roommate that Bill Murray played in Tootsie. It must've been fun to be an actor in Mother of the Week. Thank you Jennifer Jiles and Adrienne Paxton. I hope you two re-team for another project. Do me a favor. Go to their website, read about the crew and see more clips. Here's the link: MotherOfTheWeek.com.